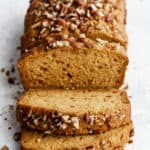 This healthy maple pumpkin bread is sweetened with maple syrup for a lighter bread that is perfectly moist and filled with warming Fall spices. 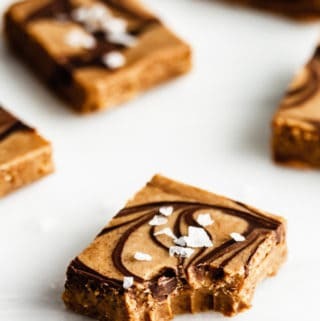 Enjoy a slice on its own or top it off with your favourite jam or nut butter! And the pumpkin recipes continue! I took a quick little break from all the pumpkin recipes on Friday to bring you a dreamy pink moon milk, but pumpkin is back on today! 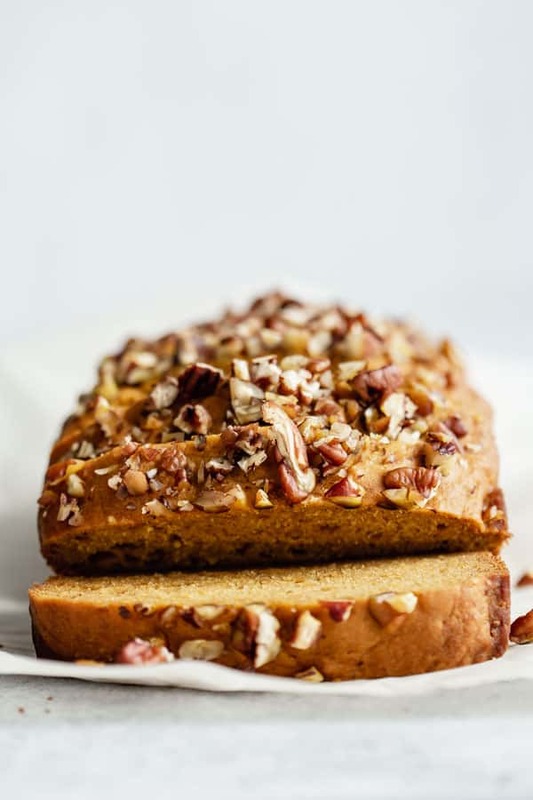 Pumpkin bread is one of those Fall recipes that is just a classic. (In my humble opinion.) 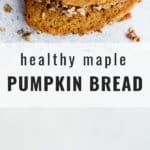 So today we’re doing a healthy maple pumpkin bread. This is one of those recipes that makes your home smell like a DREAM. No need for candles, incense or essential oil diffusers. 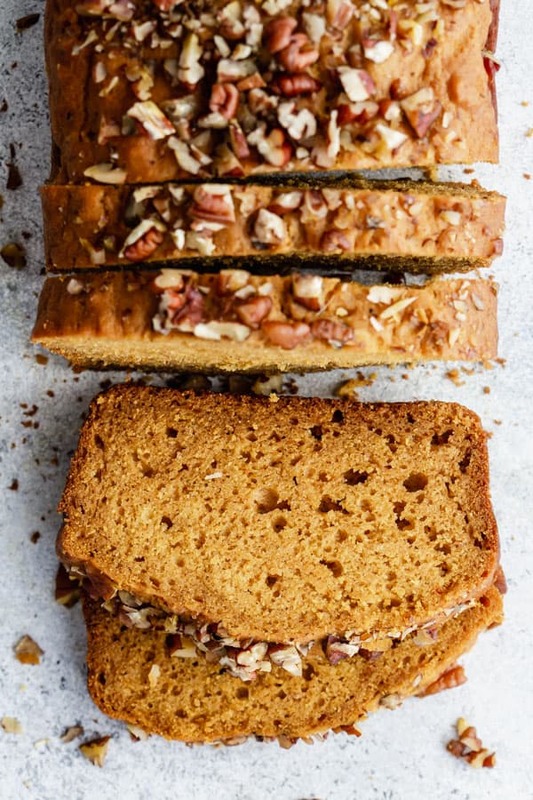 All you gotta do is throw a batch of this healthy maple pumpkin bread in the oven and let the aroma do its thing. This is also one of those recipes that I love because it’s what I consider an “eat at any time of the day” type of recipe. Seriously. Have a slice for breakfast, serve it up for dessert, enjoy it for a snack, even eat it for dinner…no judgement here! 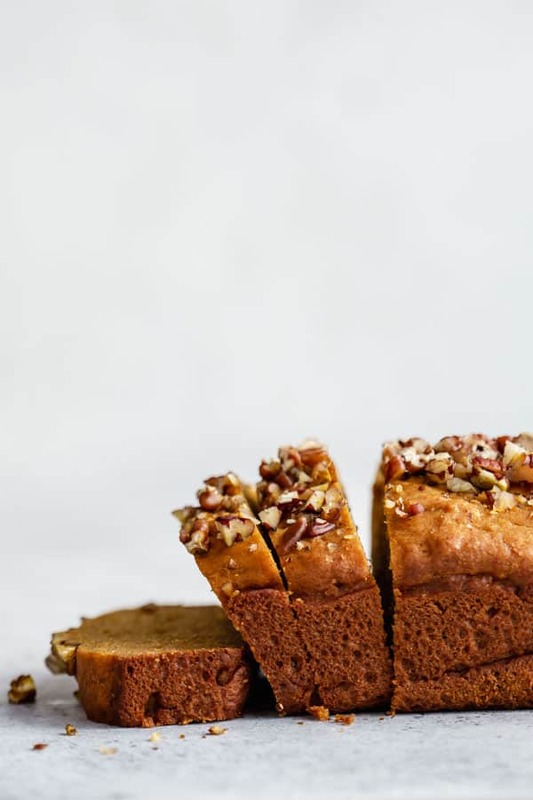 I like to use white spelt flour in this healthy maple pumpkin bread to keep it…well, extra healthy! You can substitute the spelt flour with regular flour, or a gluten-free flour blend if you prefer. 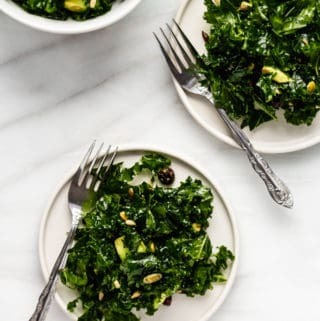 If you’d like to make this recipe vegan, you can replace the eggs with flax eggs. To make the flax eggs mix 2 tbsp of flax seed powder with 6 tbsp water in a small bowl. Let the mixture sit for at least 5-10 minutes to gel. Use as you would use the eggs. Make sure that you are using pumpkin puree for this recipe, and NOT pumpkin pie filling. (They aren’t the same thing!) Pumpkin puree will have only “pumpkin” on the list of ingredients. 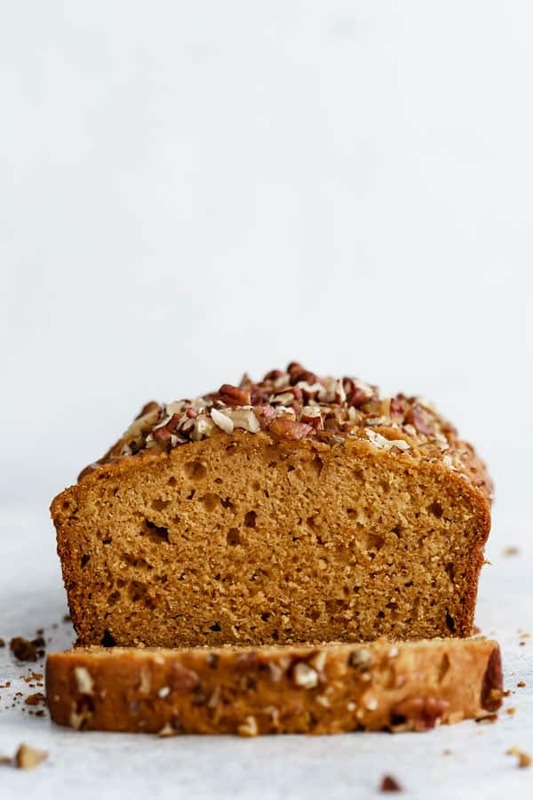 You can add any mix-ins you like to this pumpkin bread. Nuts, seeds and chocolate chips would all be delicious! Perfect to bring to a thanksgiving dinner, potluck or enjoy at home! 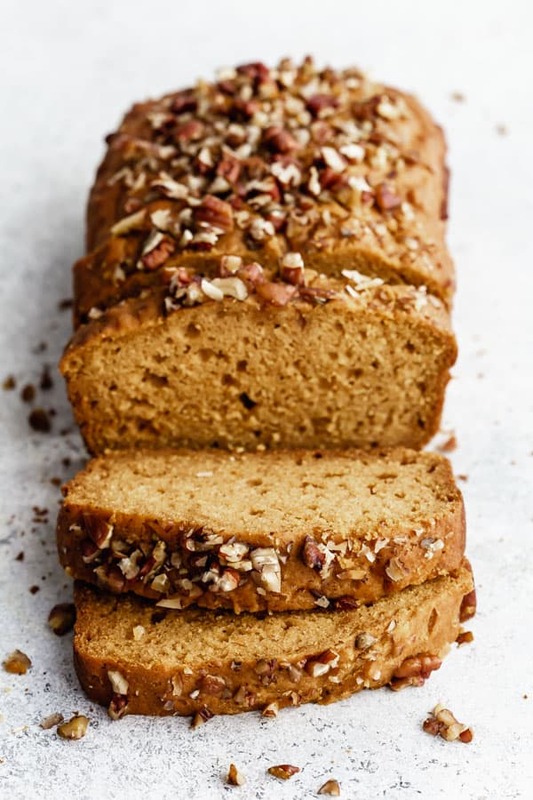 The BEST healthy pumpkin bread sweetened naturally with maple syrup. YUM! Preheat the oven to 350 degrees and spray a 9×5 inch loaf pan with cooking spray. Mix the flour, baking soda, baking powder, cinnamon, nutmeg and orange zest together in a bowl. Set aside. In a separate bowl, whisk the eggs, pumpkin puree, coconut oil, orange juice, maple syrup and vanilla together. Pour the wet ingredients into the dry and mix together until combined. 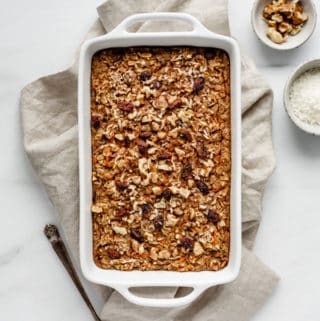 Pour the batter into your loaf pan and sprinkle with crushed pecans. Bake for 50-60 minutes, or until a toothpick comes out clean. Add any mix-ins you like to this loaf! Nuts, seeds or chocolate chips would all be great. To substitute for flax eggs, mix 2 tbsp of ground flax seeds with 6 tbsp of water. Sit and let gel for 5 minutes before using. YES, I ADORE pumpkin recipes as well! 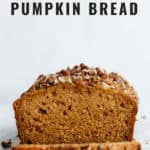 Pumpkin muffins, pumpkin curry, pumpkin pie, and pumpkin bread are also some of my favorites. This looks like such a warming and flavorful loaf with perfectly moist slices. Raspberry jam or apple butter would complement this so well! Thanks Sarah! And oh yes that would be SUCH a great combo!! OMG this looks so good! Love that it’s lower in sugar and sweetened with maple! Must try it. Can I sub the coconut oil for something else? A different oil? Hi Raegan, yes you can! 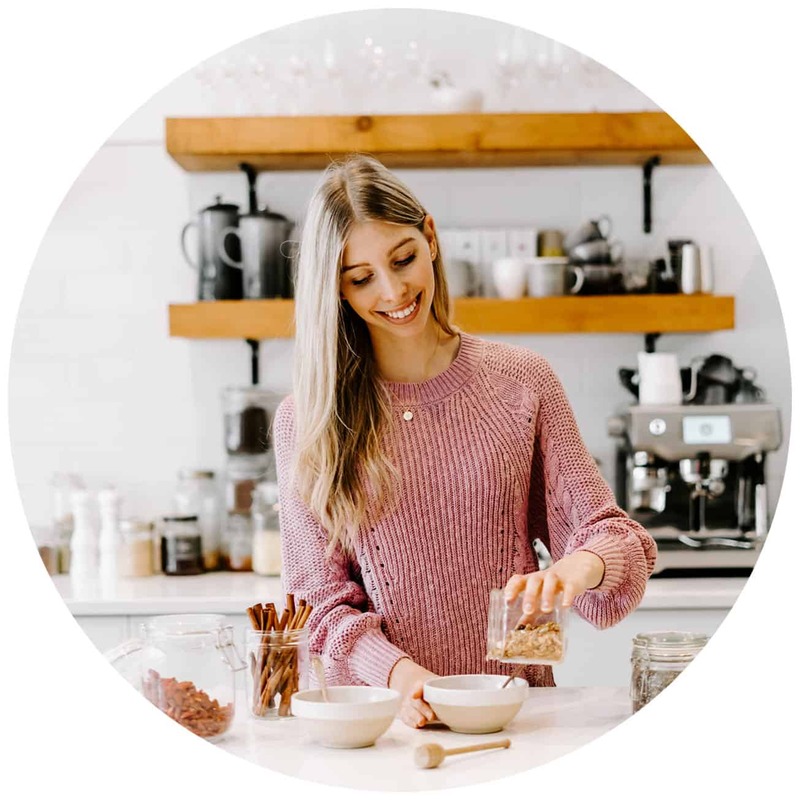 You can use any neutral tasting oil (vegetable oil, sunflower oil…etc) or butter in place of coconut oil. This bread is perfectly sweet and moist. Sooooo yummy! I will be making again because I am sure it will be gone by the end of the week 🙂 Thanks for making it refined sugar free too! !